2016: Sweet 16 celebration! 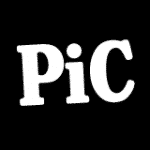 Website redesigned, nicknamed “PIC 3.0” by exactly 4 people. 2012: 10,000th comedy article went up, 25,000,000th reader indulged in any number of literary humor features. 2010: 10th anniversary! Staff writers throughout the years awarded each other superlatives and wrote tribute articles. 2008: Nathan DeGraaf published The Snippets and the Impure Tour, the first book by a PIC writer. 2005: 5th Anniversary Prohibition Party held in Atlanta. 2004: The first six columnists began writing weekly columns. 2003-2006: “Courtjester5000” duped millions of AIM users into thinking they were chatting with an automated messaging bot. 2000: What's black and white and red and yellow all over? PIC, in its original online form. 1999: The first issue of Points in Case taped to the inside of a bathroom stall at Emory University. PIC curates a thoughtful blend of enlightening and irreverent humor that is both curiously insightful and sinfully delightful. We publish daily original articles, rain or shine. Want to write for us? Submit an article. Read more about us.